"Hidden Figures" tackles two issues in the same breath, Civil Rights in the early 1960's and equal rights for women in the workplace. It's an important, highly entertaining film. 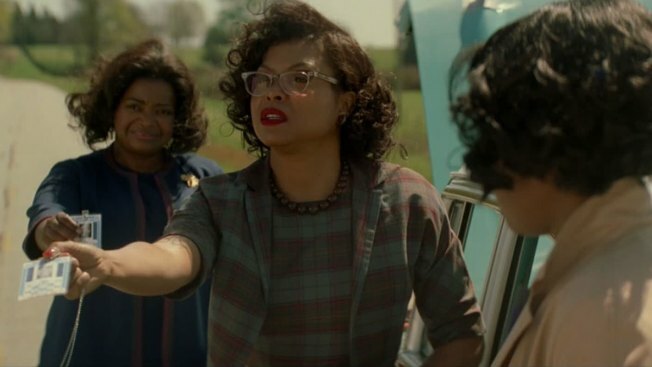 "Hidden Figures" takes place during the Civil Rights movement when America was in a space race and NASA employed African American women as mathematicians, but segregated them in the workplace and denied them promotions. Taraji P. Henson, Octavia Spencer, and Janelle Monae are all terrific as smart gifted women who had a profound impact on the race against the Russians. Kevin Costner is just right as the NASA boss who has no time for segregated nonsense if it helps get John Glenn back to earth safely. But these ladies face a much more complex struggle in their daily lives that ranges from segregated coffee pots to being denied higher education. "Hidden Figures" is written and directed with an honest sense of time and place by Theodore Melfi. His movie examines institutionalized racism and women's rights from a female point of view without being message-heavy. It's a good solid piece of historical work. "Hidden Figures" is rated a surprising PG and wonderfully celebrates a group of women who actually WERE the smartest ones in the room. I would take everyone I know to see "Hidden Figures." It's that good and that satisfying.